Most of Nova Scotia’s electricity is still generated by burning imported fossil fuels. These emissions contribute to rising sea levels, storm surges, extreme weather events, ocean acidification and population-level shifts in the marine ecosystem on which Atlantic Canada is particularly dependent. 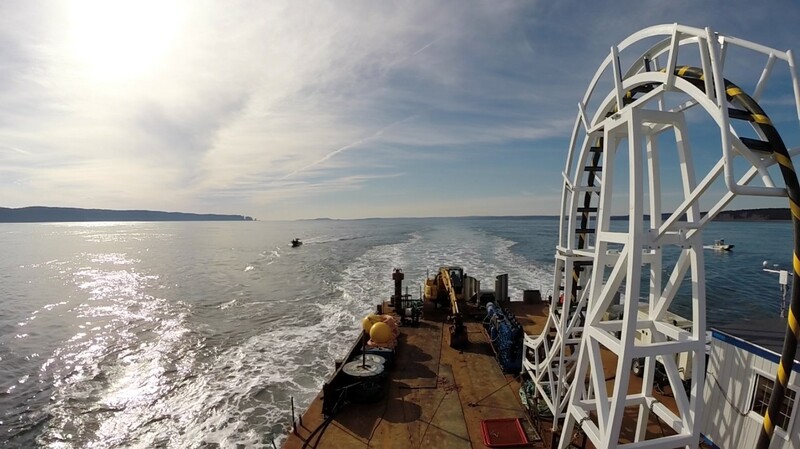 Tidal stream energy holds great promise for producing low-carbon electricity and the Fundy Ocean Research Centre for Energy (FORCE) is in an ideal geographic setting to explore this promise. Approximately 160 billion tonnes of water flows through Canada’s Bay of Fundy each tide, equal to four times the estimated flow of all the freshwater rivers and streams in the world combined. Unlike wind and solar, tidal energy offers a significant strategic advantage: it is predictable, allowing electricity utilities to reliably predict tidal resource levels years in advance. For tidal stream technology to move to large-scale development, the public and regulators must be satisfied that any development activity is safe, sustainable and viable. FORCE’s environmental effects monitoring program is designed to better understand the natural environment of the Minas Passage and the potential effects of turbines as related to marine life and mammals, marine noise, benthic habitat and other variables. FORCE has successfully fabricated and installed an 11 km subsea power cable network – the largest transmission capacity for tidal stream in the world. It has also welcomed the first 2-megawatt tidal stream turbine connected to the North American grid – Cape Sharp Tidal’s OpenHydro turbine. The Fundy Advanced Sensor Technology programme enhances environmental data capture, site characterization capability and marine operation methodologies in extreme high flow environments. Collecting this data will help address any environmental concerns related to this breakthrough technology. The world’s oceans contain vast amounts of energy, with the potential to meet 10% of global electricity demand. Estimates suggest Canada’s total marine renewable energy technology potential is approximately 80,000 MW, with many high-energy sites. To explore these opportunities, the industry must continue to refine tidal stream technology, lowering technical and financial risk, as well as monitoring tidal devices and mitigating any potential effects.